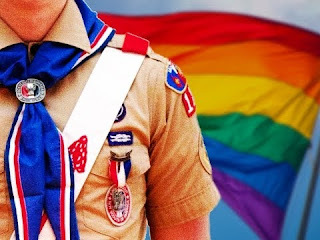 The Boy Scouts of America (BSA) propose ending the ban for openly youth gays members, a spokesman has informed. 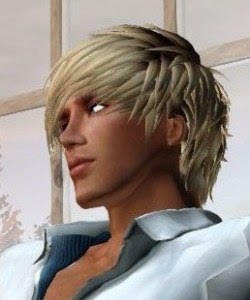 But this proposal has to submit to the vote of the Scout's National Council, at a meeting in Texas the week of May 20. 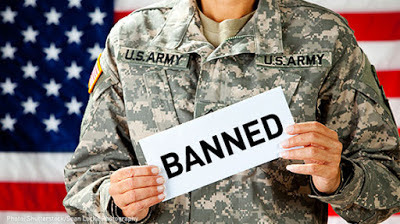 If this proposal is approved no youth may be denied membership in the BSA on the basis of their sexual orientation, but the ban will remain for all adult leaders. The debate over whether to admit gay and lesbian members to the Boy Scouts has divided the organization with important internal discussions, and placed the group in the center of a nationwide debate over gay rights. In any case, “While perspectives and opinions vary significantly, parents, adults in the Scouting community, and teens alike tend to agree that youth should not be denied the benefits of Scouting,” the organization said in a statement. 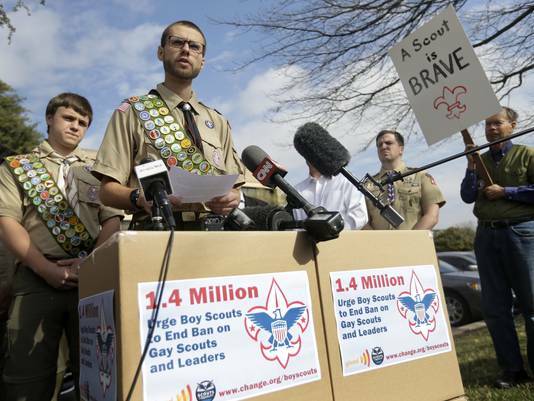 I also want to highlight the task of Scouts for Equality to ending the BSA's ban on gay, who have collected over 1.850.000 signatures opposing, and specially one of its founders, Zach Wahls, for his continued and effective effort in favor of the equality. All my best wishes and support!